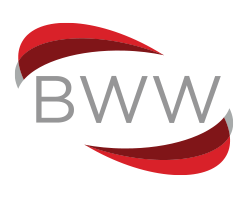 BWW Communications is a full-service marketing communications agency serving the Electronics and Technology sectors, delivering the full variety of promotional services to brand-leading companies worldwide. We have offices in the UK and Germany with partners in the USA, China, Japan and Korea. All our account directors have worked within the industry for at least 10 years. We deliver creative yet practical campaigns which effectively-target the desired audience. 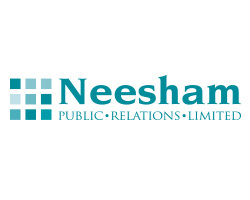 Neesham is a highly respected B2B technology PR agency specialising in electronics and professional AV. Our Account Directors and Managers combine an understanding of our core technology areas with business experience allowing us to build strong, focused and productive client relationships. We operate as a global team centred on our headquarters just outside London. 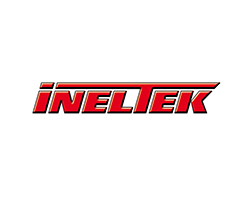 Ineltek is the independent distributor in the UK and Ireland with a Passion for Innovation and a Commitment to Service. Our electronics market needs a focused distributor with the strength to support your business. The evolution of local distribution has led to standardised offerings, and vendor reduction has led to choice reduction. We offer a real alternative, based on dedication and responsiveness from our team of high calibre professionals providing support for your business to grow and thrive. Ineltek Ltd is the UK arm of Ineltek GmbH, Germany’s leading independent technical semiconductor distributor. 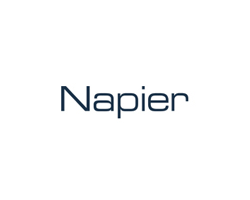 We are a small team of highly motivated and customer focussed sales, marketing and technical experts whose primary goal is to develop new business with major UK technology companies. Passion for Innovation: we continually strive to enhance our in-depth expertise in hardware, software and solutions that allow us to deliver client-specific solutions from our world-leading manufacturers with enabling technologies such as Microchip, E Ink, Inova and Touchnetix. Commitment to Service: our highly experienced account managers, applications engineers and customer service managers knows what it takes to bring value to your products and business. We take pride in delivering that value in every engagement. We produce our customers’ most important component; the PCB. Our target group is customers for whom the PCB is a strategic product throughout the entire product life cycle. Our ongoing goal is to assist our customers achieve the best possible time to market and competitive advantage by producing PCBs in a sustainable way at the lowest total cost through our competence, delivery accuracy and product quality. With offices in 15 countries all over the world, we are able to offer competitive terms, quality and delivery assurance that broaden your production possibilities. Working from a single point of contact gives you access to all types of PCBs. Irrespective of location, the NCAB Group supports all technical requirements from prototype through to volume. 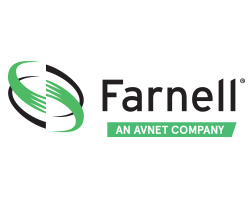 Farnell is a global technology leader with over 80 years in the high service distribution of products and solutions for electronic system design, production, maintenance and repair. We use this experience to support our broad customer base, from hobbyists to engineers, maintenance engineers and buyers as ‘The Development Distributor’ – from our award-winning element14.com community, to the support we give to leading brands and start-ups as they develop projects and new products for the market – Farnell is there to guide and support at every stage. Intelliconnect (Europe) Ltd is the largest UK-based manufacturer of RF, microwave, waterproof and cryogenic connectors and cable assemblies suitable for applications including wearable technology, medical, telecoms, satcoms, military, aerospace, space, general microwave communications, rail traction, oil and gas and marine. Intelliconnect also manufacture the market-leading Pisces range of waterproof RF connectors, coaxial adaptors to facilitate inter-series connection and gender change etc. dust-caps and offer value-added services. Their recently launched and fast-growing cryogenic Interconnect division CryoCoax supplies medical, research, test and measurement and the emerging low-temperature computing markets. Intelliconnect’s cable division are specialist manufacturers of affordable, high quality, high-frequency microwave cables including triaxial assemblies, semi-rigid, semi-flexible and cryogenic cables as well as standard RG/LMR type products. Cables can be waterproofed to IP68 and include special features including phase matching and ruggedised assemblies for use in harsh environments. Intelliconnect prides themselves on their commitment to customer service, exemplary product quality and design and manufacturing expertise. They are Silver certified by SC21 (21st Century Aerospace, Defence, Security and Space industry Supply Chain Programme awarded by ADS) and members of the British Cryogenics Council. Intelliconnect has offices in Chelmsford, Corby and Tennessee, USA. 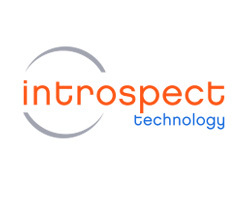 Introspect Technology offers the most extensible measurement and optimization tools for high-speed digital product engineering teams worldwide. Our portable, software-defined instruments deliver unprecedented productivity enhancement throughout all stages of multi-GHz product development: from bring-up characterization to system-level integration and optimization. Our mission is to enhance competitiveness, product quality, and time-to-market for our customers. As an IPR Demonstration Enterprises in Guangdong, MORNSUN is one of few power supply manufactures that have its own independent Intellectual Property Rights of integrated circuit, innovative transformer structure, assembly system and appearance design. 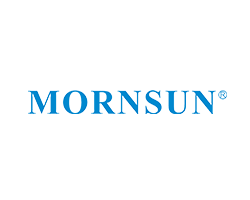 Over the past 20 years, MORNSUN applied 300+ patents for inventions. Guided by the service principle of “trust worthy”, MORNSUN established its subsidiaries in America and Germany, expanded its distribution network in 40+ countries and operated sample inventory in Germany, North America, India, Japan and others to offer the best service to local clients in those locations. As part of society, MORNSUN focuses on teamwork and persistent hard work, and it’s deeply devoted to her role as a responsible corporate citizen around the world. Based on it, MORNSUN holds the core value of “creating value for her employees, clients, shareholders and developing our business to repay the society” and takes it as her mission to make contribution to the development of society and progress of the humankind by pursuing excellence unremittingly. MORNSUN is marching a new silk road like a camel without any stop to realize new brilliant. Napier and our sister agency Armitage Communications help our clients, who are some of the most innovative and fastest growing companies, achieve their business goals sooner. Our unique four-step approach designs and continually optimises campaigns that convert awareness to opportunity more quickly. As a team of individuals, we are energetic, creative and enthusiastic about the challenges we face. Representing the electronic components industry from ‘cradle to grave and then re-birth’, ecsn has members in five primary categories: 1. Near Market Research, 2. Components Manufacturers, 3. Channel Partners, 4. Systems Integrators and 5. End of Life / Re-Use. Provision of accurate monthly statistical reporting for the UK, Ireland and Nordic components Distributor Total Available Market (DTAM), a quarterly summary analysing the industry statistics within the wider economic data and establishing an annual industry forecast are important tasks for ecsn members. ecsn is a member of IDEA (International Distribution of Electronics Association) whose members use a common statistical reporting format enabling ecsn to provide its members with a quarterly summary for all of the leading electronic components markets in Europe. Any organisation with an interest in “what’s happening” in the electronic components supply network may join the association. The electronics sector is constantly evolving and continually seeks to cross the boundaries of physics and science, delivering ever new capabilities. With such a consistent pace of evolution and change it is critical to stay ahead of these developments and this is where Electronics sits as the most comprehensive hub of cutting edge news delivery. Covering all the latest innovations and developments, spanning a diversity of sectors, Electronics is at the forefront of news delivery. source for all the latest ground breaking new product launches, technology innovations and current affairs, primarily sweeping the UK’s electronics industry but also internationally; and is essential reading for all design engineers. Since its inception over 30 years ago, Electronics has continued to evolve with the industry and is one of the most respected journals in its field. Its informative editorial content and influential retinue of key industry players provides the magazine’s high profile readership with the core industry news and information they require. This, in turn, gives advertisers a direct link to their prime target market; in an engaging and popular format that has the influence to generate invaluable sales leads. Working alongside ConnectingIndustry.com, the Electronics team can offer inspiring solutions for your marketing plans by structuring a bespoke promotional package that will provide your company with maximum exposure, creating vital business opportunities.